The new study, published in Nature Communications, found that when a protein called SOCS3 binds directly with another protein called Cavin-1, small cell surface regions of blood vessels called caveolae are stabilized, preventing damage. This mechanism, previously unknown, is important for maintaining healthy vascular function. This process happens naturally in healthy cells but can be compromised when damage occurs, through natural processes such as ageing or as a result of lifestyle. 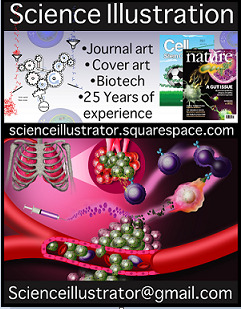 To achieve this, the team used a combination of proteomics, which identified cavin-1 as a new SOCS3 (suppressor of cytokine signalling 3)-regulated protein, and then applying cutting-edge molecular biology, biochemistry and imaging approaches to characterize how they controlled each other's function in cells. The senior author said: "This is a real breakthrough as it defines for the first time a new interaction between two pathways that control key properties of healthy blood vessels - protection from inflammation and resistance to mechanical damage. Biochemical and confocal imaging demonstrate that SOCS3 localization to the plasma membrane requires cavin-1. SOCS3 is also critical for cavin-1 stabilization, such that deletion of SOCS3 reduces the expression of cavin-1 and caveolin-1 proteins, thereby reducing caveola abundance in endothelial cells. Moreover, the interaction of cavin-1 and SOCS3 is essential for SOCS3 function, as loss of cavin-1 enhances cytokine-stimulated STAT3 phosphorylation and abolishes SOCS3-dependent inhibition of IL-6 signaling by cyclic AMP. Together, these findings reveal a new functionally important mechanism linking SOCS3-mediated inhibition of cytokine signaling to localization at the plasma membrane via interaction with and stabilization of cavin-1.